I have always thought of camping trips to be exciting but just thinking about the things that you'll have to bring discourages me especially when my son was still younger. Imagine having to bring not only a camping tent but everything a family needs to survive the outdoors. 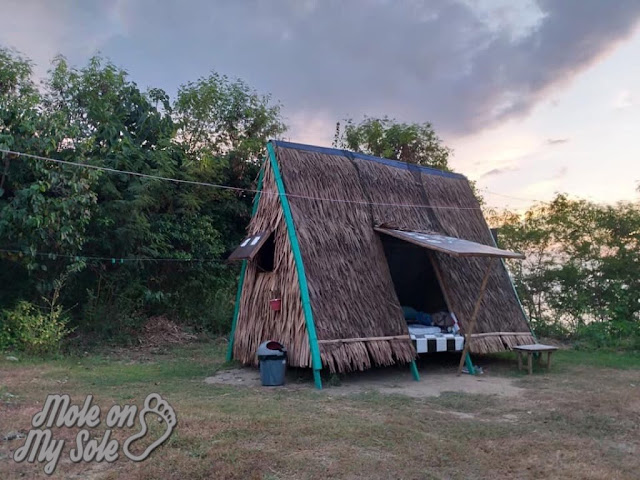 Buti na lang, nauso ang glamping. 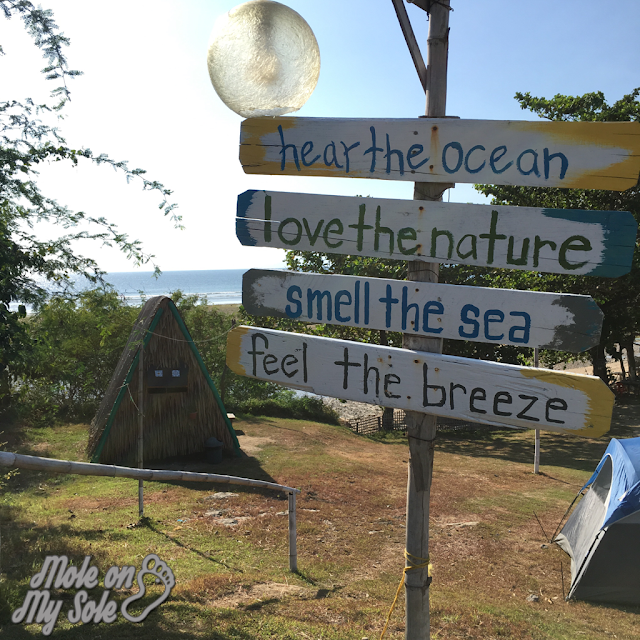 Casa Antonio is a beachfront glamp camp located at Apacible Street, Calatagan, Batangas. Depending on the traffic, it would normally take a 2-3 hour drive from Manila. 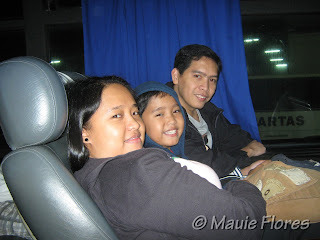 From Tagaytay City, it only took us an hour to reach the campsite. Casa Antonio is somehow not easy to find if you don't set your Waze or Google Maps driving to the place. The property where the camp is located doesn't have a huge signage. It only has a wire fence surrounding it and a wire gate with a yellow sign that says, GLAMPING. Good thing that I was in constant contact with Tom, who leads the camp staff that day, and he gave specific instructions on how to find the campsite entrance. 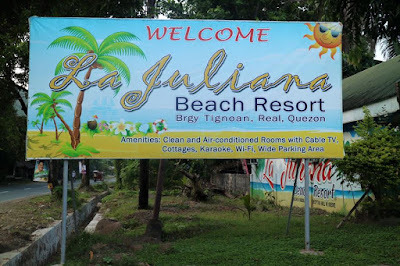 As their Facebook page mentions, the place "is still and will be Calatagan's best kept secret even during peak season." So alam na why they don't have a huge signage by the highway. 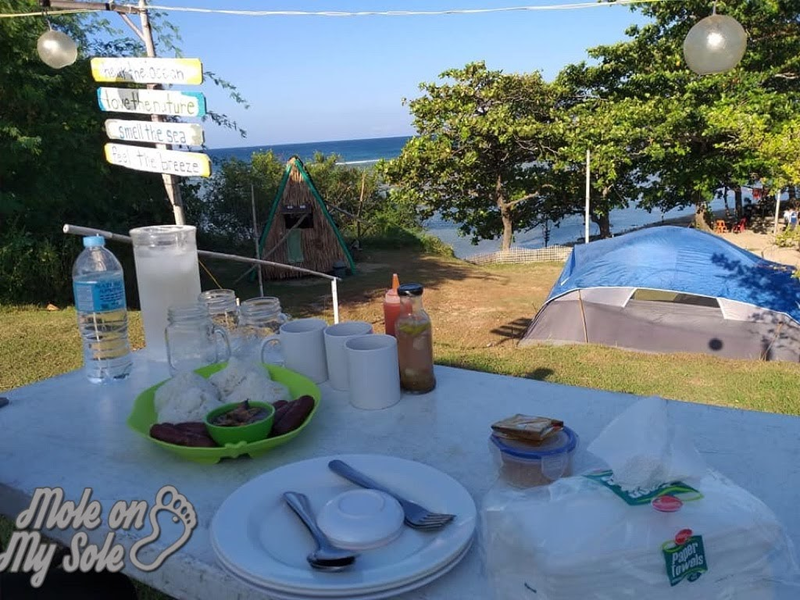 Since it was the Undas long weekend, the boys and I decided that we would book ourselves for 2 nights at the camp. That would give us enough time to bum around and just enjoy being away from the concrete jungle of Metro Manila. 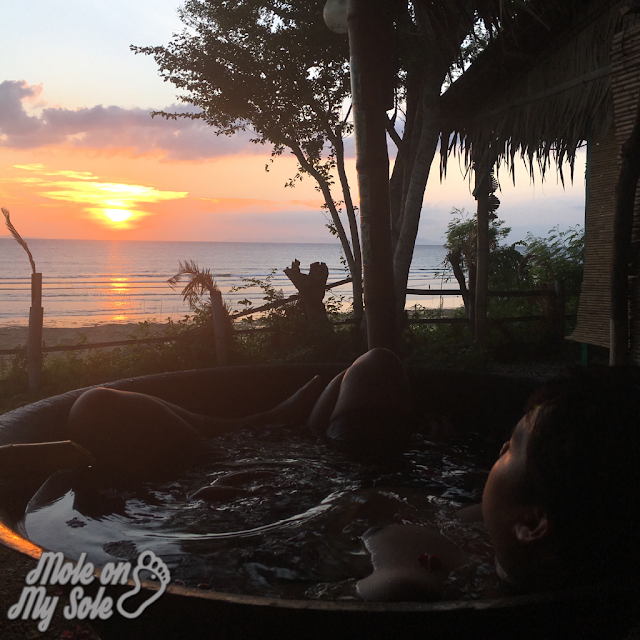 For those two nights, we availed the Eco Rehab (Php 2,800 per person) and Getaway Glamp (Php 1,800 per head) packages. By combining the two packages, we were able to cover our meals from dinner on our first night to breakfast on our 3rd day. 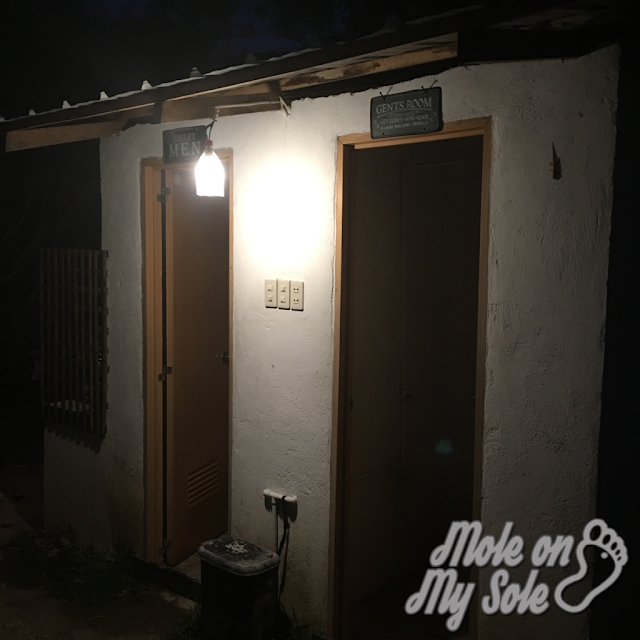 We were able to experience sleeping in a tent and in a hut during our 2-night stay at Casa Antonio Glamp Camp. We were assigned to a big camping tent on our first night. It had 2 double-sized mattresses and 3 pillows. There was still huge room inside the tent for our belongings. A tent of the same size a few meters away from us had 8 people in it so it was really roomy. The location of our tent was well-lighted so there was really no need to use the small rechargeable lamp that I brought even when we were inside the tent. Also, I availed of the Php 200 electric fan add-on which made the hot afternoon more comfortable. On our 2nd night, we were offered to transfer to the nearby glamp hut since it was already available. It's made of bamboo and sawali and was elevated. It also had 2 double-sized mattresses but can still fit in one more. We borrowed the mat that we had the night before and placed it in front of our hut. Then we lay down while chitchatting with each other watching the stars. I asked if I can have hot water from the kitchen because I had 3-in-1 coffee with me but they offered kapeng barako! Haay, what a perfect night! Super enjoyed it! I was really able to relax and just take it slow. The only downside to this is that we can't padlock the "door" of the hut unlike the zippered entrance of the camping tent. So we had to bring our valuables when we left for the beachfront in the morning. 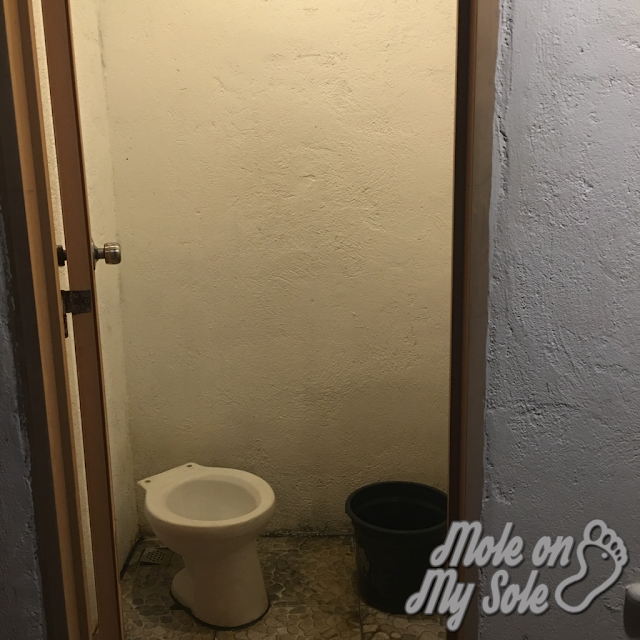 And we took turns in the shower so somebody will be left in the hut. No need to cook. Just enjoy the camp! 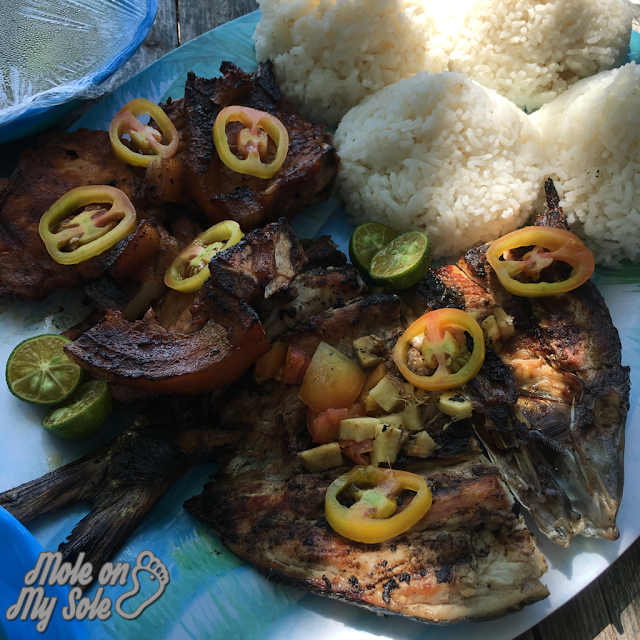 Casa Antonio's allows bringing in of food and drinks to the camp site at no additional cost. However, since we wanted to enjoy our first-time glamp experience, we opted to avail of the packages with meals. Lunch and dinner meals had grilled/fried chicken/pork, fried/grilled fish, soup, and rice. 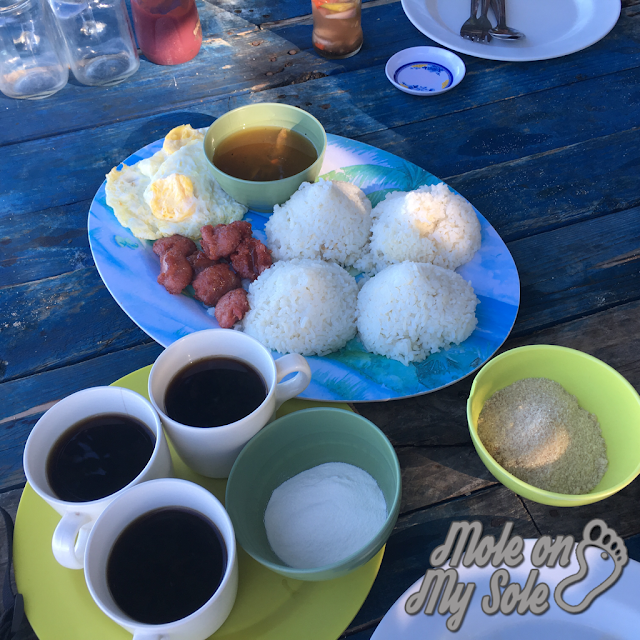 For breakfast we had rice, longganisa, fried egg, gourmet tuyo, and kapeng barako. Food was not outstanding but still ok. Servings were big! We were only 3 and they always served 4 cups of rice. So yeah, keto off muna kaming lahat. LOL! Each hut had an assigned picnic table so our meals were always served there. We also asked them to serve us soda or juice with our meals. We brought 1.5 L bottles of cola and juice with us and they were kept cool inside the camp site's refrigerator in the kitchen. Breakfast is served between 7am to 9am. 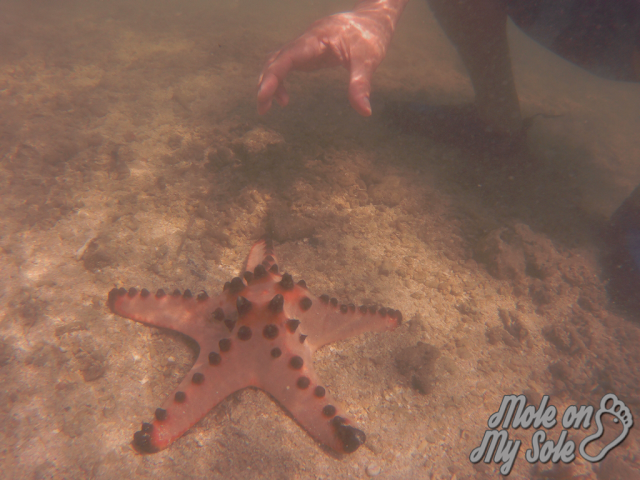 We had ours before our scheduled boat ride to Starfish Island. We had our lunch served at the beachfront tables after we arrived from Starfish Island. Grilled Bangus and Porkchops. There were also 3 bowls of Pork Nilaga soup (no meat so baka dito pinalambot ang porkchops, haha!) with veggies. Bongga ang dinner namin for our last night! And naubos namin lahat pati ang rice! 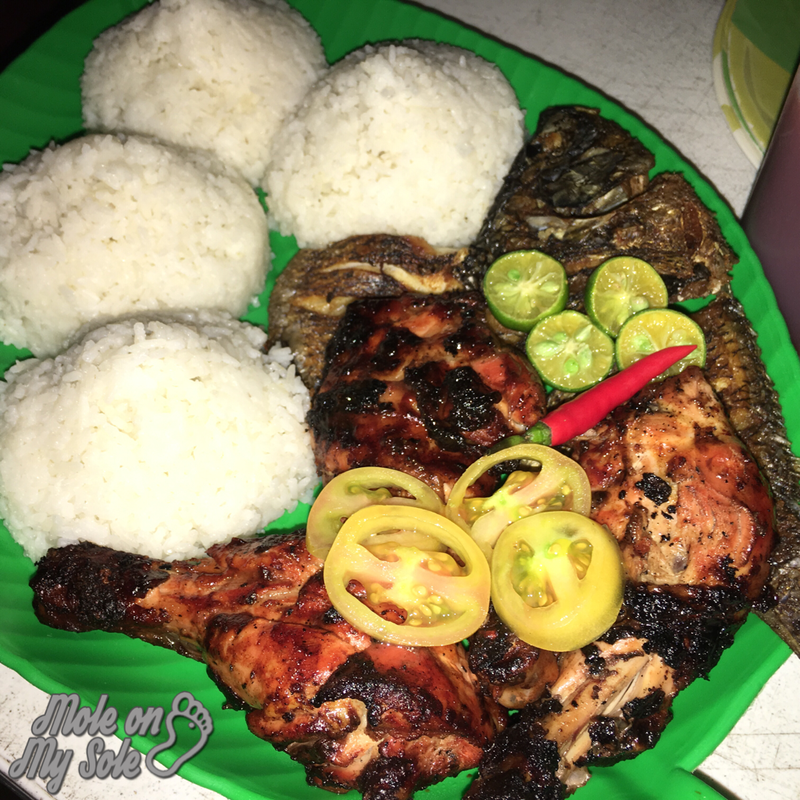 We had dinner after our Kawa Hot Bath and full body massage that's why super ganado! Fried Chicken, Fried Tilapia, and 4 cups of rice. We woke up early to kayak and swim so we had our breakfast a the beachfront again. This was our last meal at Casa Antonio as we checked out before lunch time. 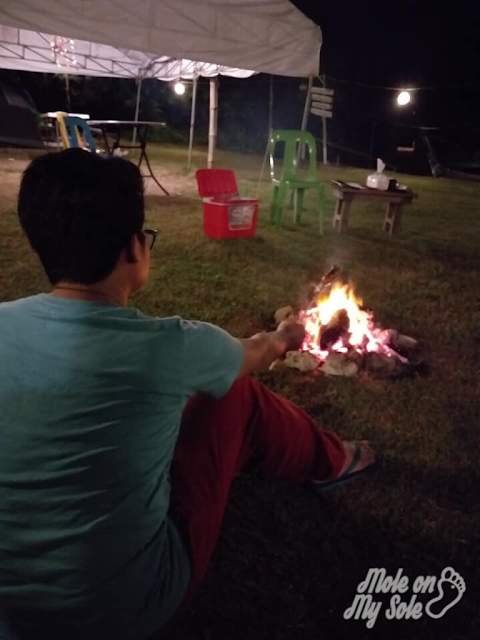 On our first night, we asked our assigned butler, Cardo, to set up our bonfire. I availed of this add-on (200 pesos) when I booked and we shopped at S&R Nuvali for marshmallows, sausages, beers, chips, and the long smores bonfire sticks (75 pesos only for 4 pcs. at S&R!). 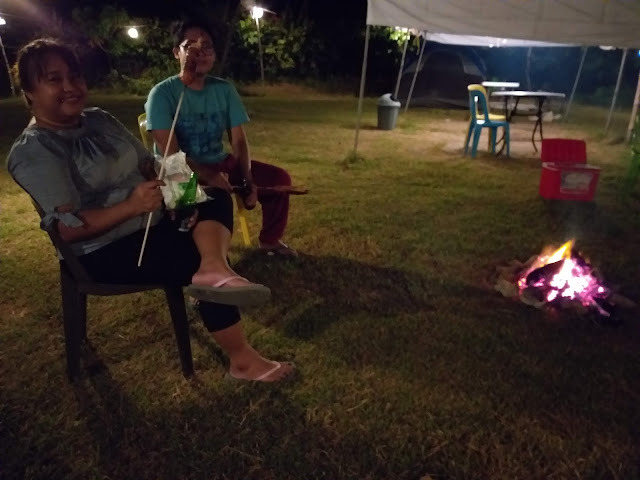 Earlier, I also asked Cardo to buy us tube ice for our cooler so the beers that we had were ice-cold by the time we had our bonfire. This activity is included in the Eco Rehab package that we availed. The night before, Cardo already asked us about our preferred schedule and we chose to have it around 9am after breakfast and my husband's meeting over the phone. Big boat with only the 3 of us and 3 bangkeros. Little Boracay daw siya ng Calatagan. Hmmm.... well, the sand is finer here so it's better for swimming, unlike the beach at Casa Antonio. The boat ride from the campsite took around 15 minutes and it was already low tide when we arrived. We were still able to swim pero sobrang babaw nga lang. The current was also strong so we really couldn't sit or squat on the water. The boat rental was good for an hour (excluding travel time) and we went back to the campsite after. The Kawa Hot Bath and full body massage sessions were also included in the Eco Rehab package. We had it scheduled for 4pm but we were able to get in the kawa tubs by 5pm. It was a blessing in disguise, actually. It was the perfect time to relax and watch the sunset. You can add water if you want it cooler. This area is good for 4. They also have another area with only 2 kawa tubs that would be perfect for couples. Perfect time for Kawa Hot Bath is 5pm. 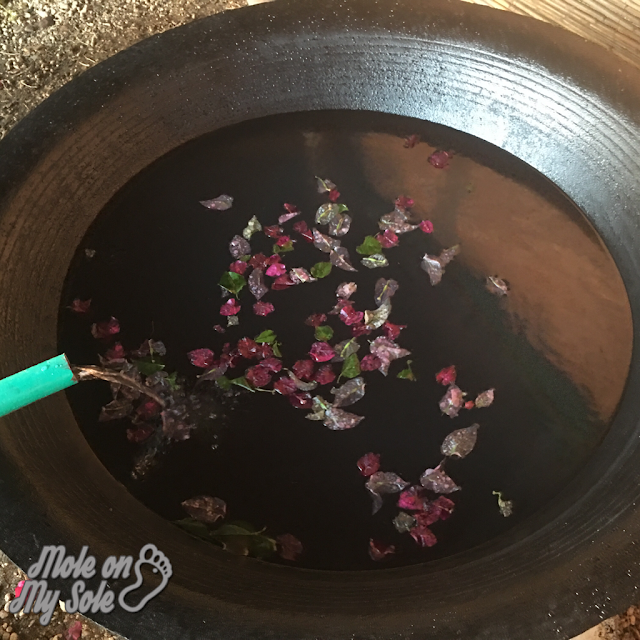 The Kawa Hot Bath is only 45 minutes. The experience was very much similar to the hot pools in Panicuason Resort in Naga or Ace Water Spa. I sweat a lot and I noticed that the pores on my face opened up, LOL! After that, we went back to our hut for our full-body massage. 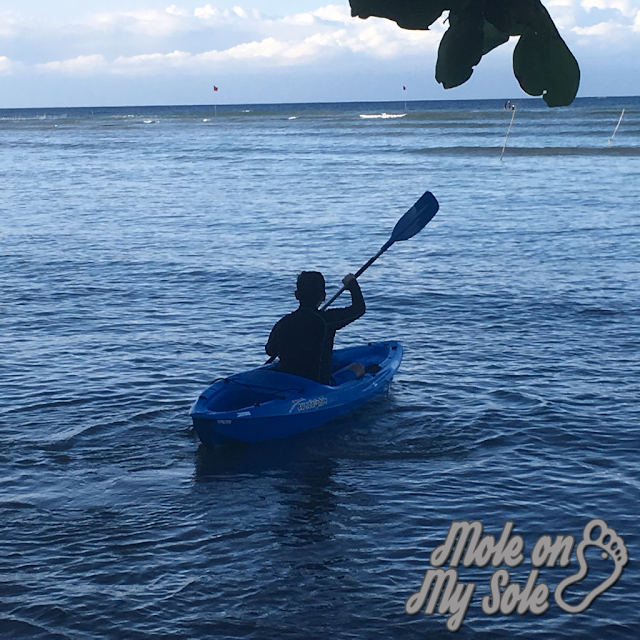 Casa Antonio has 3 kayaks on site that can be used by guests. We were able to try it on our 2nd morning before we had breakfast. HIgh tide in the morning means kayak time. I really wanted some downtime for me and the boys that's we we booked this glamping trip. What's good in staying in tents and huts is that you'll be forced to not sleep in and go around. Syempre walang aircon, LOL! The moment we arrived at our tent, Cardo lent us a sungka. 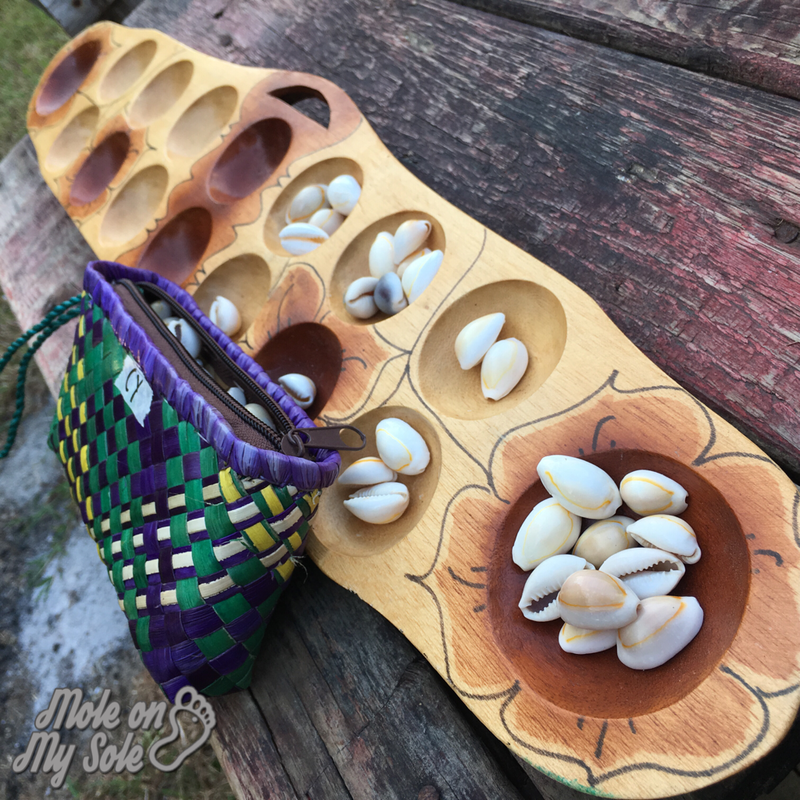 I think the last time I played it was when I was still in grade school so I had to ask my friends in Facebook how to play it. My son also brought his ukelele so we were able to play some music outside our tent. And of course, the best thing that one can do on vacation is to just do nothing! My boys particularly loved spending time (aka napping) on the hammocks by the beach. Casa Antonio Glamp Camp is not for the fussy traveller. Before you book your stay, make sure that you understand that you'll be getting what you pay for. What you see in social media and on their very own Facebook page is what you'll really see on site. 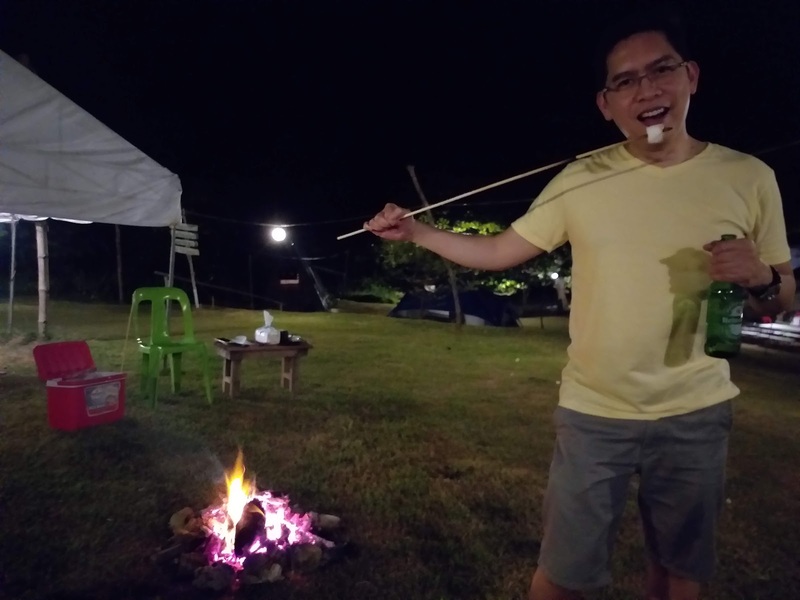 Before I booked, I got to check other glamp camps in Batangas and Casa Antonio had the lowest rates. Sure, they had airbeds and another one even had air conditioning which totally defeats the purpose of camping, right? I mean, gusto ko ng convenient pero rugged pa rin because that's what camping trips should be. It is also important to note that there are a lot of dogs roaming around the campsite. They are pets and they don't chase and bite. Because of this, they also allow guests to bring their own pets. In all socal media posts and blog reviews, one thing always stood out - the attitude of the staff! Everyone is friendly and would really go out of their way to assist you even when they're not assigned to you. What's also impressive is that they're working students who work on the site to be able to support their studies. Our first glamping experience was made memorable in Casa Antonio Glamp Camp. Thanks to the staff who were always there to assist us in everything that we need. Casa Antonio Glamp Camp is located at 143 Apacible St., Calatagan, Batangas. The site is easily found in Google Maps or Waze so you'll not have so much trouble driving to the place. 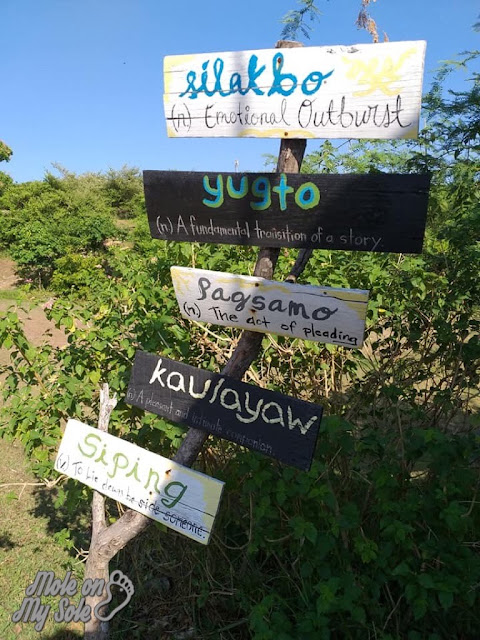 For specific instructions on how to reach the place via public transportation, you can visit their Faceboook page (facebook.com/batangasglamping) .